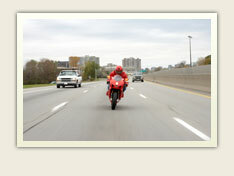 If you have been injured in a motorcycle accident, you need the services of the Paul Krueger Law Firm. You are entitled to be fully compensated for all the costs associated with your medical recovery. You do not have to accept a settlement offer from any insurance company. We will skillfully represent you and will not rest until you are fully compensated.